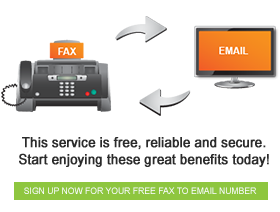 How faxing has moved into the 21st Century with FaxFX. When fax machines were becoming commonplace in offices in the 1980s, they were considered revolutionary. They made communication so much easier, and drastically reduced expenditure, such as courier costs. But, as technology progressed, fax machines’ popularity began to wane. In a soft-copy, mobile world, fax machines became impractical. However, the processes which were put in place by fax machines are still being used by many businesses today. This is why electronic faxing is so important. Fax to email has made faxing mobile, and the fact that it reduces paper usage makes it much friendlier to the environment. Here are some ways that fax to email benefits the modern businessman. 1. Archiving: Conventional fax machines would print hard-copies by default, and many of the received messages would then be copied. All of this paperwork would then be stored in filing cabinets, which required manual sorting. FaxFX, has made this so much easier by offering digital archiving on a secure server. Fax correspondence will never go missing again. 2. Faxes come to you: Conventional fax machines were connected to landlines, rendering them immovable. But electronic faxing means that faxes come through to your email inbox, allowing you to access them from anywhere, provided you have internet access. 3. Faxing is mobile: With FaxOut credits, available for purchase on the FaxFX website, your computer or mobile device becomes a fax machine, meaning you can send faxes while on the move. Send faxes from your email account, or, with the FaxFX Fax Printer, any program that has printing capabilities. There are, of course, many other benefits to electronic faxing. Take a look at the FaxFX website to see how this revolutionary service is available to you.